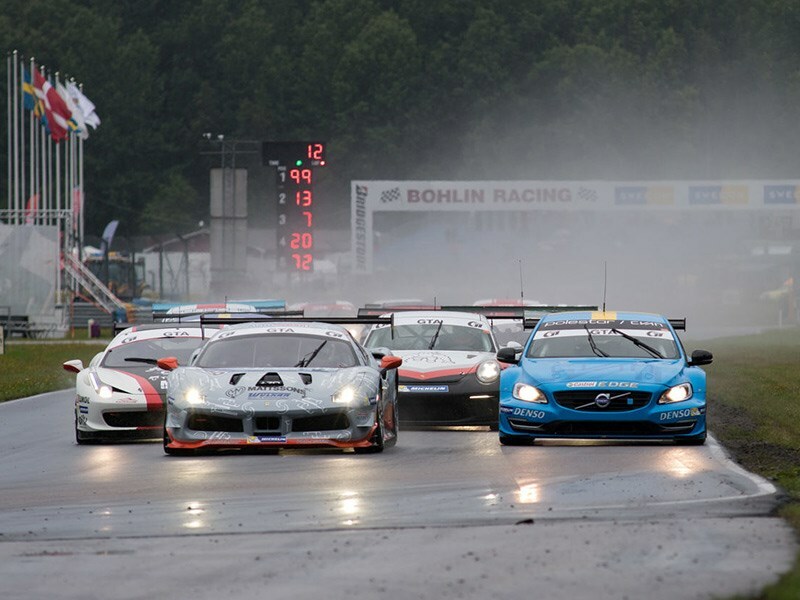 Polestar Cyan Racing driver Prince Carl Philip keeps his Swedish GT title hope alive following a strong second place in the first race of the Karlskoga weekend with co-driver Thed Björk. Prince Carl Philip was briefly behind championship rival and Ferrari driver Ingvar Mattsson in the final part of the wet race, but was able to make his way past to secure his fourth podium of 2017. ”I am happy with the result. It was no point in trying to follow Brunstedt today. I was able to get past Mattsson and control the gap between us after that. The team did a great job with the car and I feel confident for tomorrow, hoping that we get to race on a dry track,” said Prince Carl Philip. Björk started the race from second on the grid and handed over the wheel to Prince Carl Philip at mid-point of the race. ”It was a really tough race as the track was very wet and greasy from previous races. We have no abs or traction control on our car, compared to some of our competitors and that makes it even tougher to fight. But I tried to just maintain our position and then hand it over to Prince Carl Philip who did a solid job today,” said Thed Björk. Prince Carl Philip remains in fourth place of the drivers’ championship, 19 points from championship leader Brunstedt with one race remaining of the weekend at Karlskoga, starting at 15:05 CEST tomorrow. ”This was probably the best result we could achieve given the conditions and circumstances today. Both drivers did a solid job and we hope for dry weather tomorrow – our goal is set on a win,” said Alexander Murdzevski Schedvin, Head of Motorsport at Polestar.